These brand new kegs are sold without the spear. They are made to EURO standard with stackable chimes from high quality 304 stainless steel. A-type and D-type spears available separately. S-type, M-type and U-type spears also can be purchased on special order. Circlip type spears can be made on request. Please note this item is a special order item. If you would like to order this item you must email or call us and we can process the order for you. 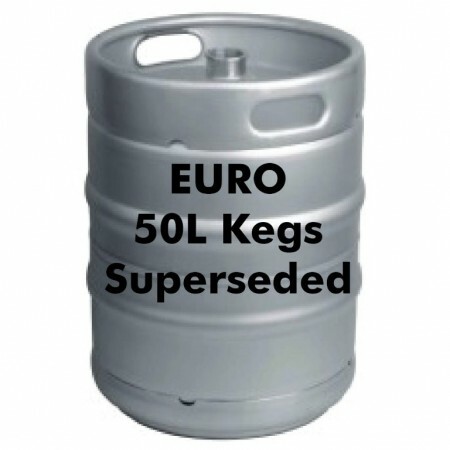 For orders over 200 units we can do custom punching so you can punch your own logo into the chime of the kegs. For orders under 200 units we can do custom etching on the kegs so you can have your own logo etched into the chime of the keg.